Saving a plane by removing the pilot. A flat spin is literally what it sounds like. When the plane falls at such an angle that airflow over any control surface does not exist, then the plane can't recover. 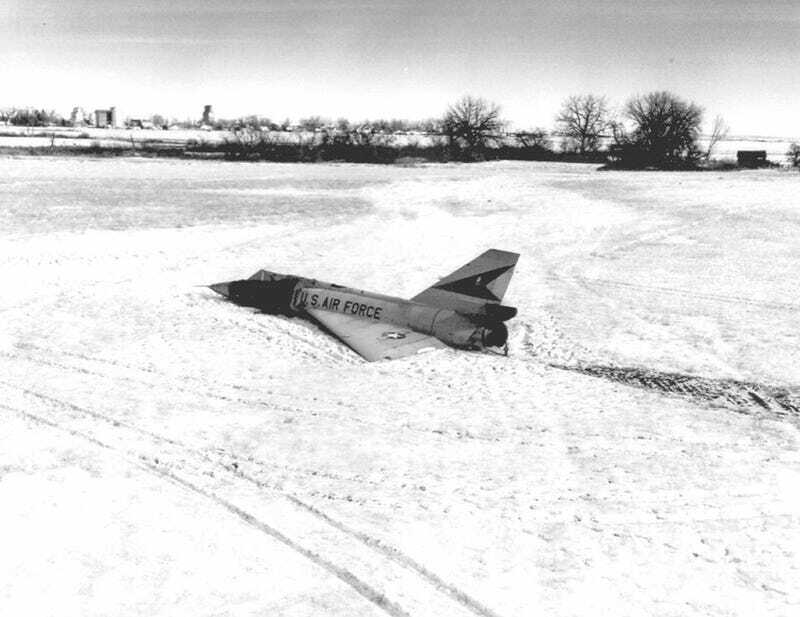 In the winter of 1970 a F-106 in a flat spin was hopeless so the pilot decided to eject. The missing weight changed the whole balance. The plane recovered on its own and landed softly in a cornfield with minimal damage. The pilot punched out at 15,000 feet and the plane righted itself and glided on down to a farmers field in Montana. While under the parachute, the pilot recieved a radio message from another pilot on the mission orbiting above saying, "You'd better get back in it!" They watched the plane glide down and land. After landing, the engine was still running at idle power. It eventually ran out of fuel after an hour and a half. An officer on the recovery team noted such little damage that if there were any less he would have flown it out of the cornfield himself. They removed the wings and put it on a flat rail car moving it back to base. It was repaired and put back in to service. You can now see "The cornfield bomber" on display at the Air Force museum in Dayton, Ohio.